My heart almost leaped out my body when I finally saw it. The official cover of the fourth Seven Wonders book by Peter Lerangis has been unvield. The Curse of the King will have a golden color palette, featuring the main characters and the great Statue of Zeus. I was of course mistaken of my prediction that it will focus on the pyramid (I thought the title refers to King Tut!). The statue's appearance in the book is, of course, confirmed by the synopsis, which has been revealed as well. 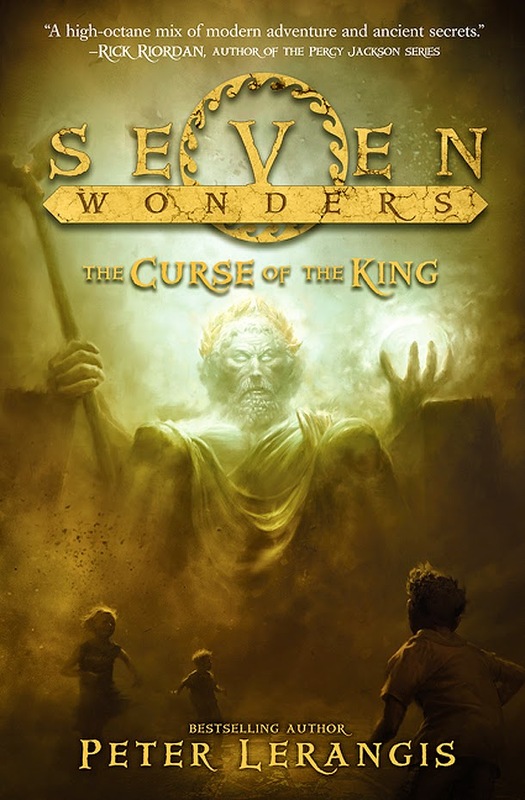 Check out the official cover of Seven Wonders Book 4: The Curse of the King by Peter Lerangis. Don't you love this majestic cover? I just can't wait until this book's release so I can finally place it together with my other books in the series. The Curse of the King is the fourth book in a seven-book series by master storyteller Peter Lerangis. This sequel to The Tomb of Shadows, Lost in Babylon, and The Colossus Rises chronicles the adventures of Jack McKinley and his friends as they face their greatest challenge yet—the long-lost Statue of Zeus. In their struggle to undo what's been done and unlock the secrets of this Wonder of the Ancient World, our heroes must confront gods, relive old battles, and face down their own destiny to save themselves—and the world—from destruction. Seven Wonders Book 4: The Curse of the King by Peter Lerangis will be available on March 3, 2015. 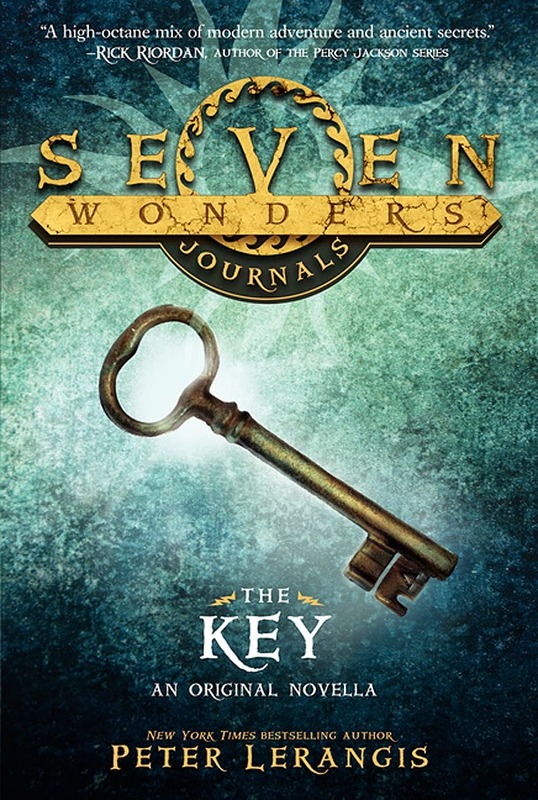 Details of the third Seven Wonders Journal, The Key, has been revealed as well. This short story will be released 1 month before the The Curse of the King, specifically on February 10, 2015.